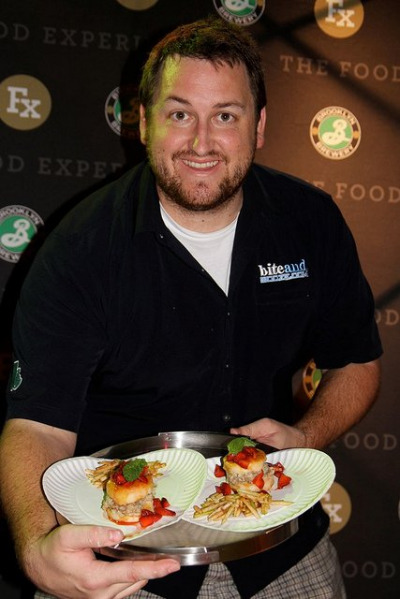 Foodista | IFBC NOLA Speaker Announced: Jay Ducote! Much-loved Louisiana native, Jay Ducote, will be speaking in the Writing about Food and Culture session at IFBC New Orleans! Jay Ducote is a talented writer, an avid traveler, a philanthropist when he gets the chance, an entrepreneur at times, and one heck of a good guy. He is the author of the food blog Bite and Booze, which chronicles his culinary and indulgent cultural experiences as he eats and drinks in South Louisiana and around the world. He also produces and hosts the Bite and Booze Radio Show presented by Calandro's Supermarket where he interviews local chefs and other food personalities, discusses restaurants and culinary events, and much more. He also co-hosts a radio program called "Raise a Glass" which features history, culture, production, and enjoyment of alcoholic beverages. Jay served as the chairman on the charter board of directors for the Baton Rouge Social Media Association whose mission is to promote Baton Rouge to both its citizens and potential visitors through blogs and new media. In May 2011 the Baton Rouge Advocate declared, "If there is a king of the local food-blogging community, it is Ducote, who in just 18 months has established as one of the leaders of the local social media movement, and one of the bigger names in the national food blogging community." Jay is the winner of the Tony Chachere's Tailgating Cookoff in 2010 as well as the victor in numerous competitive eating contests. In 2011 he was named one of the "Top 100 Amateur Chefs in America" as he competed on the FOX reality show MasterChef with Chef Gordon Ramsay, Chef Graham Elliot, and Joe Bastianich. In July 2011 he accepted the position of Viking Chef at the first ever Viking Cooking School - Outdoors in Baton Rouge, Louisiana.